Nose: Nose drying. Seaweed and old oranges, with smoke in the distance and some chalk. 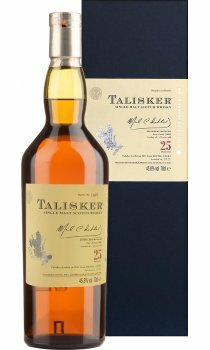 Surprisingly fruity and juicy, although with clear Talisker identity. With water almost soapy, a waxy sweetness. Smoke still present, but now more fragrant. Finish: Medium to long, slightly bitter, drying finish with a warming effect.